The smartphone, which will go on sale in the UK first next week, has the largest ever battery of any BlackBerry. 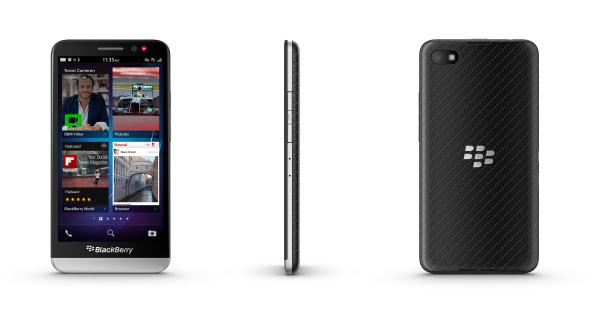 The Blackberry Z30 has a five inch touchscreen display, and a 2880mAh battery, the largest ever built into a smartphone from the manufacturer which promises up to 25 hours ‘mixed use’ (data use and talk time).BlackBerry has unveiled the Z30 smartphone, which the company said is its “most advanced”. The phone, which runs on the latest version of the BlackBerry 10 operating system, 10.2, features its ‘hub’ function, which allows users to manage all conversations and notifications from one place. The smartphone also includes BlackBerry’s antenna technology that means better connectivity in low signal areas, including faster data transfers and fewer dropped calls. It will go on sale in the UK from next week.